Like its predecessors, "Once Upon a Time" and "A Place in the Sun", "Poolside with Slim Aarons" offers images of jet-setters and the wealthy, of beautiful, glittering people living the glamorous life. Yet this new collection of stunning photographs of the rich and well-connected 'doing attractive things' in their favourite playgrounds has a new twist. The main character is pools and everything that goes with them - magnificent, suntanned bodies, well-oiled skin, bikini-clad women, yachts, summer cocktails, sumptuous buffets, spectacular locations and most of all fun. 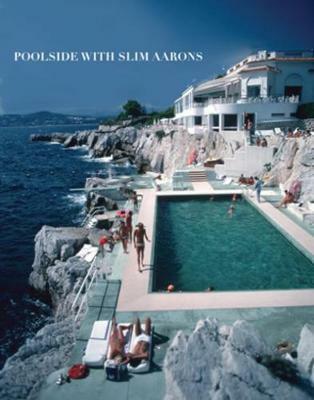 "Poolside with Slim Aarons" is not so much a Who's Who of society, aristocracy and celebrity - although C. Z. Guest, Lily Pulitzer, Cheryl Tiegs, Peter Beard and many who have appeared in the previous books are here - as it is about leisure time and how the rich make use of it. This is a more intimate peek into very private lives, to which Slim Aarons was given unprecedented access in the fifties, sixties, seventies and eighties. From the Caribbean to Italy and Mexico to Monaco, "Poolside with Slim Aarons" whisks the reader away to an exclusive club where taste, style, luxury and grandeur prevail. Illustrations note w. numerous photographs.